Should genetic testing be part of your health risk management plan? If one of your relatives has Huntington’s disease or breast cancer, should you consider undergoing genetic testing to find out if you’re at risk for the same disease? There are now genetic tests for more than 2,000 diseases, some rare like the movement disorder early-onset dystonia and hereditary hemochromatosis, a condition that causes the body to absorb too much iron, and some common like breast cancer and celiac disease. In addition to these types of genetic tests, there are others that can help determine if a medication will be effective, whether an unborn child or newborn has a certain disease or condition, and if you carry a gene for a genetic condition that could be passed on to your children. Test results can help your doctor make recommendations on when and how often you should undergo screening tests if you carry a gene mutation that increases your risk for a certain disease. If there are ways to lower your risk through lifestyle changes, medications, or other treatments, your doctor can help you develop a plan to mitigate your risk. Genetic testing can help determine if a medication, including chemotherapy drugs, antidepressants, cholesterol medications, epilepsy drugs, HIV drugs, pain medications, medications for gout, and anti-coagulant medications, will be effective for you and what dose is appropriate. Genetic tests can provide information you may want to factor into your decision about whether or not to have children. Test results can help you decide whether you want to continue a pregnancy or can help you prepare for the birth of a child with a genetic condition. Test results cannot give you a definitive answer. 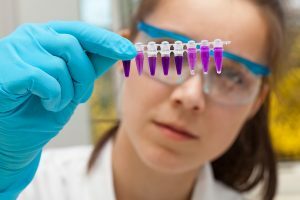 A positive result on a test screening for mutations that may increase your risk of developing a disease does not mean that you will definitely develop the disease. A negative result does not guarantee that you won’t develop it since for many diseases genetics are only one risk factor. Learning you do have a genetic mutation that may increase your risk or your children’s risk for a disease can be upsetting and cause significant stress, especially if there’s no treatment for the condition. If the testing is not covered by insurance, it can be costly. What are the benefits and limitations of genetic testing for this condition? What specific information will the test results give me? Are there any other tests, genetic or other types of diagnostic testing, I should consider undergoing? If I test positive for a certain mutation, are there ways I can lower my risk of developing the condition? Is there currently an effective treatment available? Does a positive result increase my sibling’s and children’s risk for the condition? What process is used to collect the genetic sample? How should I prepare for the test? How will I receive my results and who will review them with me? Do they have the experience and background to answer any questions I have about the results? A genetic counselor can help you learn more about testing, provide information that can help you decide whether you want to undergo testing, and advise you about your test results and what they mean. Your doctor, insurer, or a health advisor can recommend a counselor or you can find a listing of certified genetic counselors on the National Society of Genetic Counselors site or the American Board of Genetic Counseling’s site.